They say the enemy of your enemy is your friend, but what if the enemy of your enemy is also your enemy, yet also your friend for many years now? 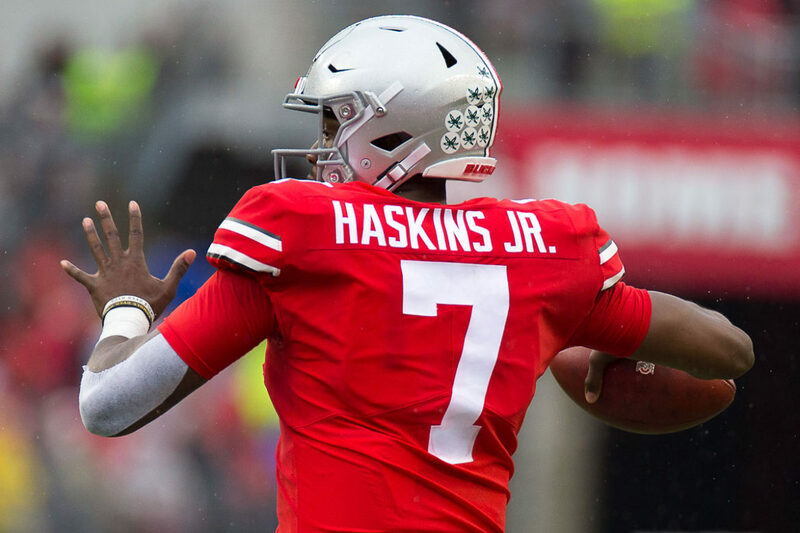 That is the situation that Ohio State quarterback Dwayne Haskins and Michigan quarterback Shea Patterson currently find themselves in. The two have known each other since the eighth grade when they began attending the same quarterback camps. They even talk now and again. Michigan’s starting quarterback and Ohio State’s starting quarterback, friendly enough to call each other on the phone. What kind of world are we leaving for our children? Have Millennials now also killed rivalries? One such conversation took place this week when Haskins called up his old pal to get some tips on playing Michigan State. Patterson led the Wolverines to a 21-7 win in East Lansing a few weeks ago, so he was well-versed in what the Spartan defense can do. What did Patterson tell Haskins? That’s not much different than what Haskins saw when he watched the film as well. Haskins said he and Patterson talked for about 20 minutes on Tuesday. Most of it was about the Spartans. As for trash talking, that hasn’t happened for a while, but it did happen. Patterson hasn’t yet called Haskins for advice, not that he would need to do it for the Rutgers game this weekend. Perhaps Patterson will call prior to the Indiana game next week. If he doesn’t call before then, however, don’t expect Haskins to pick up the phone during Michigan Week. “I’m not going to talk to him that week,” Haskins said. Some things, thankfully, will never change. I don’t see a problem with this. Dwayne and Shea have known each other for years. Should the friendship end because they go to rival schools now? 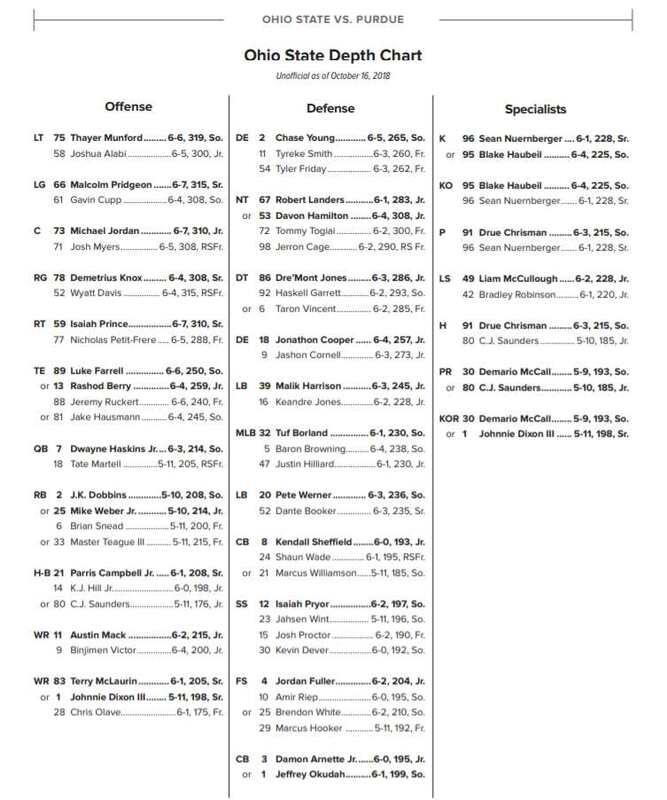 It comes down to execution by the OSU offensive line, receivers, and running backs anyway. This is like Patton calling Mussolini to ask advice on how to beat Rommel. Jeez. Isn’t Shea a girl’s name?